Реmovable prosthesis course | VOP Ltd. Choosing the proper prostheticproject has become today on the priorities by dentists world wide considering social and economical aspects according to the patient’s requests. Removable or fixed prosthesis treatments? This clinical workshop has the aim to support the dentists with the proper elements in choosing a removable or fixed prosthesis solution. We will underline the clinical cases in which the choice of an implant supported removable prosthesis (overdenture) becomes the perfect solution considering aesthetical and phonetic aspects. Aesthetical and functional facial aspects will be analyzed during the course considering the importance of the bone-mucosal types. 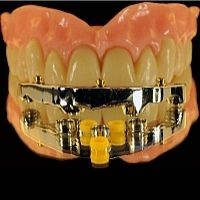 Different solutions with dental attachments will be presented, spacing from spherical to low profile solutions to be selected according to the situation in the mouth, the implant position, the spaces available and the divergent situation of the implants. Together with the analysis and study of the implant supported prosthesis a general introduction on pivot overdenture (natural teeth) will be provided considering an efficient technical alternative to the implant treatment according to the patient’s expectations.